Carry all of your essentials for day to day travel inside this rugged women’s backpack from Kelty. 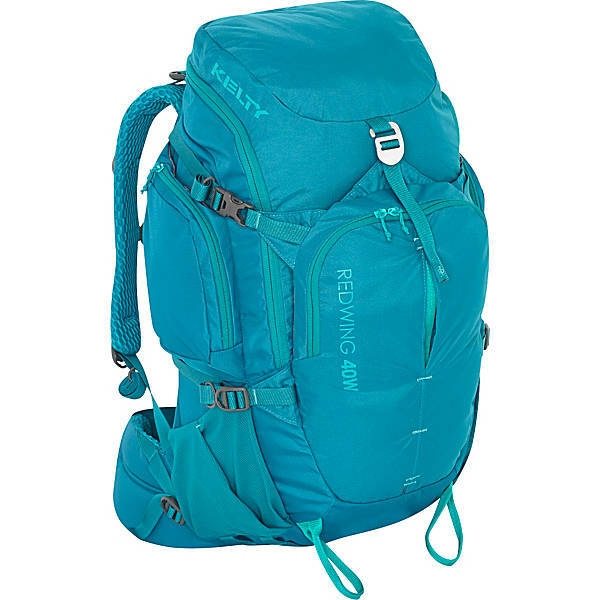 The Kelty Redwing 40 Women’s Hiking Backpack is made from poly fabric and features a hydration compatible design with an internal sleeve that can hold a water reservoir or a laptop, women’s specific shoulder straps with hex mesh padding, and a breathable hex mesh padded back panel. Detailed with dual side pockets and a front stash pocket with a metal hook closure, this backpack includes loops to hold an ice axe or trekking pole, a convenient grab handle, a front organizer pocket, and a hide-away daisy chain that makes it easy to add attachments.